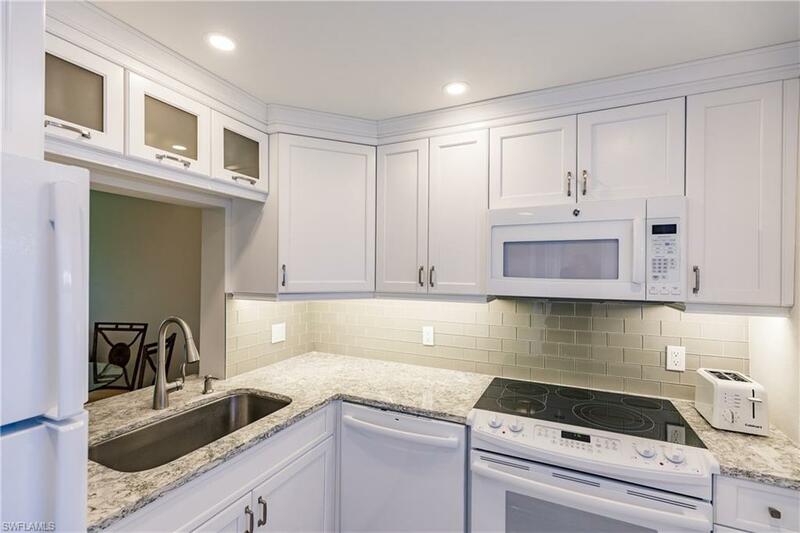 THIS 2 BED/1 BATH, GROUND FLOOR CONDO IS A MUST SEE!! 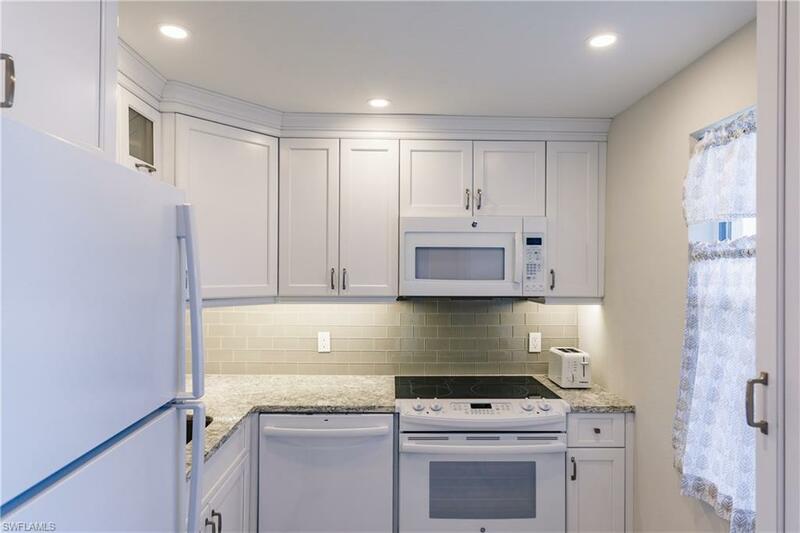 THE HOME IS BEING SOLD FULLY FURNISHED WITH SOME EXCLUSIONS, AND HAS BEEN TASTEFULLY REMODELED WITH OVER $50,000 IN UPGRADES. 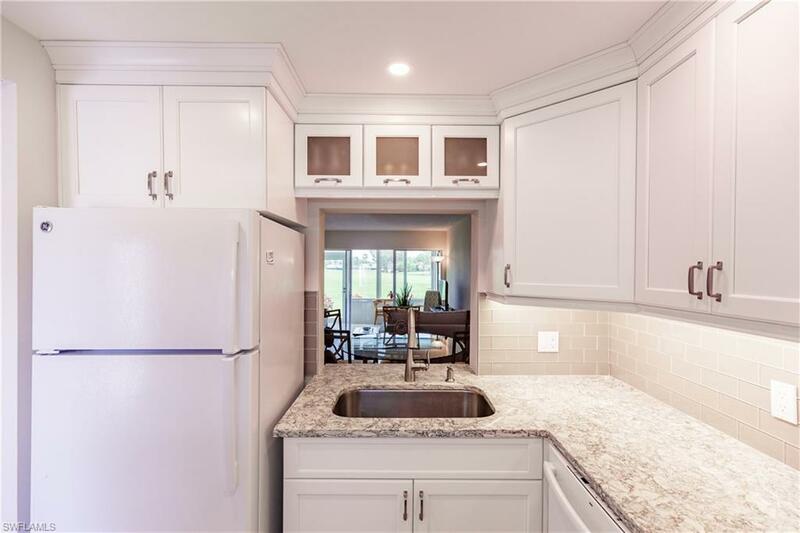 THE HIGHLIGHTS INCLUDE A STUNNING CUSTOM KITCHEN AND CUSTOM BATHROOM, BEAUTIFUL WOOD LOOKING TILE FLOORING THROUGHOUT THE LIVING AREAS, AND NEW IMPACT WINDOWS AND DOOR ON THE REAR OF THE HOME. NEW AC AND HOT WATER HEATER INSTALLED IN 2016. AN ADDITIONAL OUTDOOR STORAGE CLOSET IS INCLUDED WITH THIS HOME. AMENITIES INCLUDE NO GREEN FEES GOLF, TENNIS, PICKLEBALL, SHUFFLEBOARD AND A WELL EQUIPPED FITNESS CENTER. FOR THE MORE PROJECT MINDED INDIVIDUAL, ENJOY SPENDING TIME IN THE WOODWORK, POTTERY OR HOBBY SHOPS. OR IF RELAXATION IS WHAT YOU NEED, SPEND TIME IN THE LIBRARY WITH YOUR FAVORITE BOOK, OR FLOAT IN ONE OF SIX HEATED POOLS. 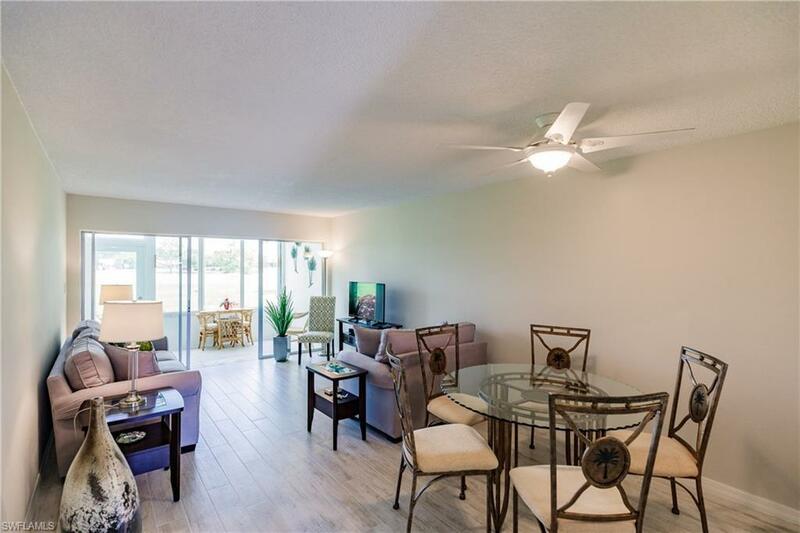 CLOSE TO SHOPPING, DINING, BEACHES OF FORT MYERS, SANIBEL AND CAPTIVA, HISTORIC DOWNTOWN, SPRING TRAINING FACILITIES FOR THE BOSTON RED SOX AND MINNESOTA TWINS, RSW AND MUCH MORE. CALL FOR A SHOWING TODAY! Listing courtesy of Phillip Edward Morris of Royal Shell Real Estate, Inc.